The Karcher HD 6/13 CX Plus is an Award Winning design - a compact, cold water pressure washer incorporating easy to use features. 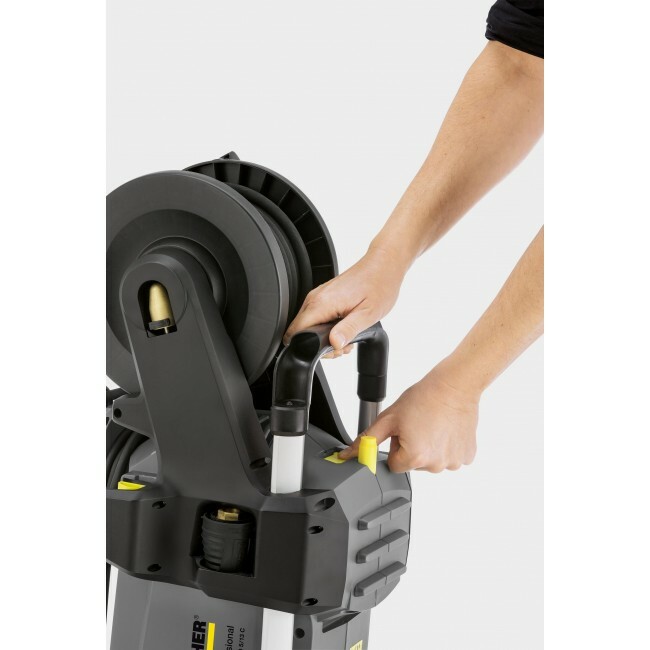 Ideal for a variety of situations on farms,in workshops, company fleets & machinery. 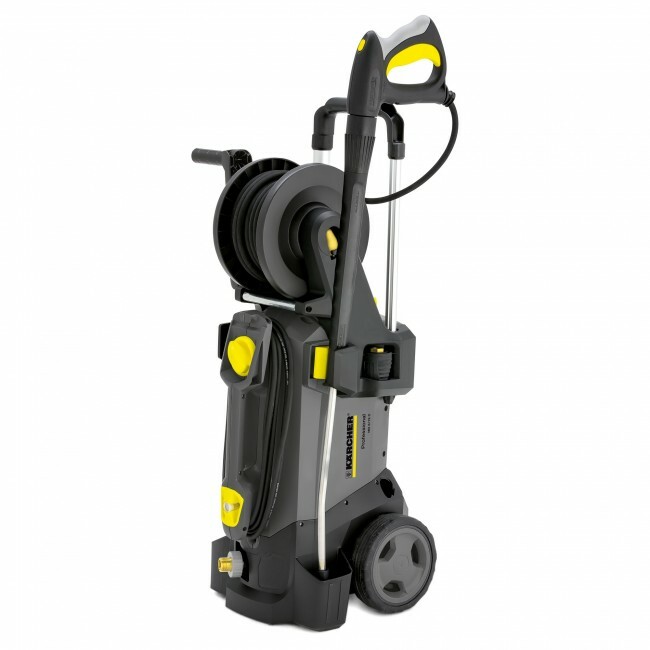 The new HD 6/13 CX from Kärcher features a host of benefits to make cleaning jobs that little bit quicker and easier. 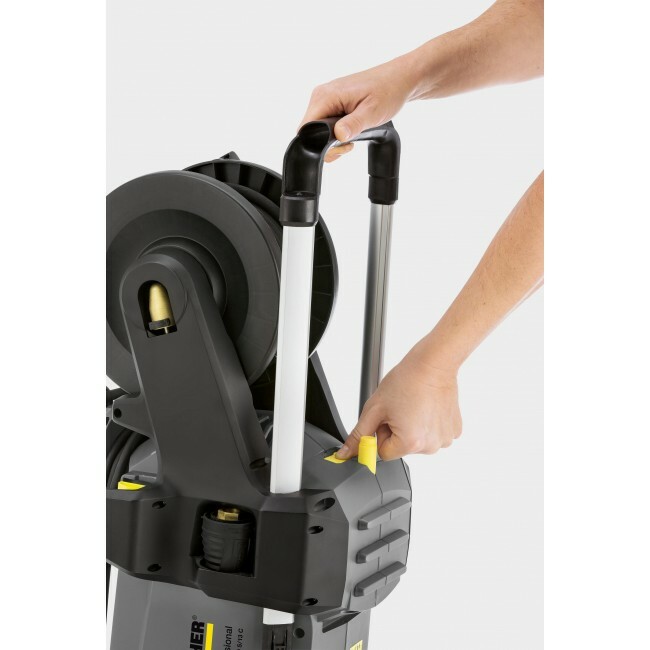 Typical Kärcher design features add convenience without compromising performance: like the on-board storage for nozzles, power cable, hose and lance; the new carry handle that makes the machines truly portable; and of course the unique lie-flat or stand up operating position. 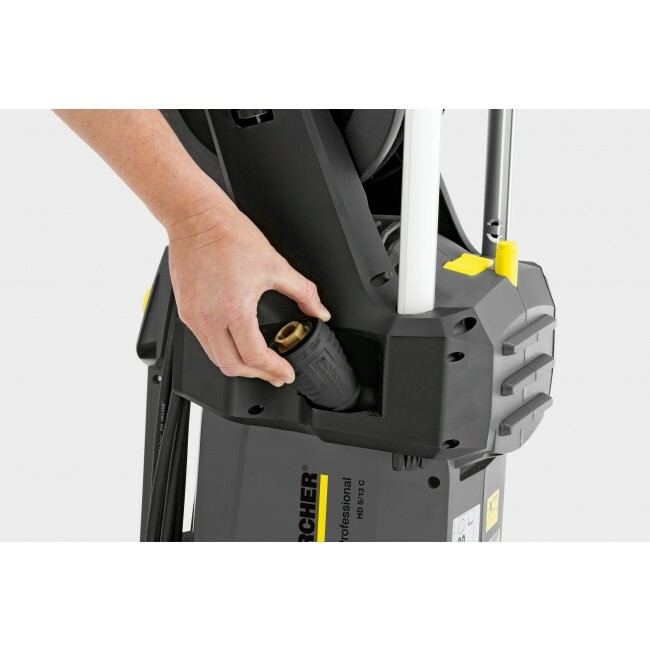 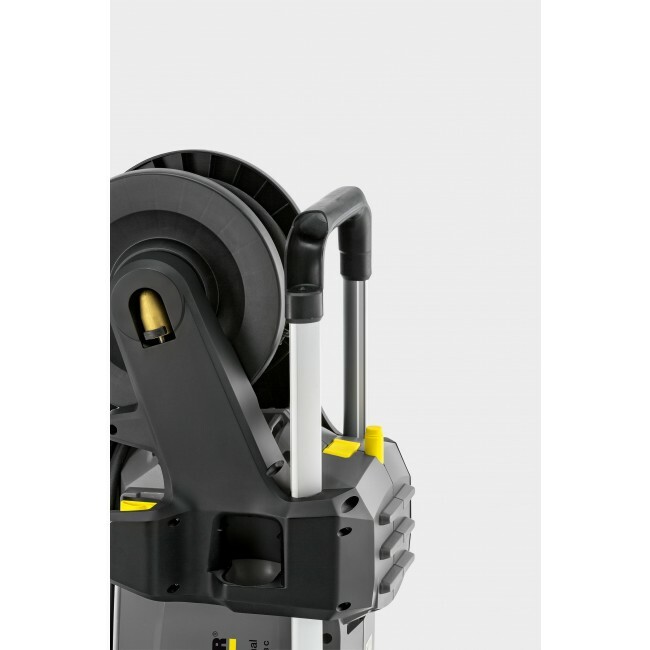 The CX model also features a built-in hose reel to keep the 15m high pressure hose safely and conveniently stored.